Get ready for the Party Poker Grand Prix UK 2017 and play for your share of the £1,000,000 guaranteed prize pool at Dusk Till Dawn, Nottingham. 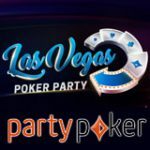 There is still some time left to qualify online at PartyPoker, get your seat to the live poker tournament for a fraction of the direct buy-in. Online Day 1 & 2 satellite tournaments are running between 3rd - 24th June 2017 with a buy-in of £220. 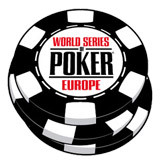 Players can also win tickets to the Day 1 tournaments by playing feeder satellites which start from just $0.01. 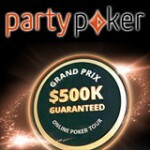 The £1,000,000 guaranteed Party Poker Grand Prix UK live poker tournament is scheduled for the 23rd-25th June. There is still time to qualify online at PartyPoker, win a prize package to one of the biggest live poker events in the UK at Dusk Till Dawn, Nottingham. 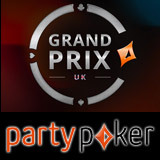 There are two qualifying stages of the Grand Prix UK which are Day 1 & Day 2 qualifier tournaments that are available both online at PartyPoker or at selected casinos across the UK. After Day 2 the final Live Event will be played at Dusk Till Dawn Casino in Nottingham, UK between 23rd - 25th June, 2017. 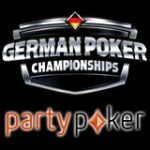 Start qualifying for the Grand Prix UK from as low as $0.01, play your way to the live event by playing Party Poker satellites. 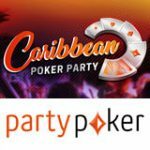 Players that qualify online at PartyPoker can win extra prizes, qualifiers can win a Caribbean Poker Party prize package worth $10,000. The first 100 players that qualify on Day 2 will be given a golden chip. Any gold chip player that reaches the final table of the live event will get a Caribbean Poker Party prize package. 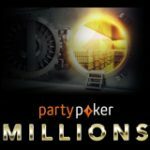 Play the PartyPoker Grand Prix UK Main Event and finish in the top 100 positions and you'll win a ticket to the Million Nottingham which takes place in September. 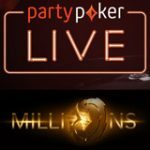 The Party Poker Million at Dusk Till Dawn, Nottingham also guarantees a £1,000,000 prize pool so you'll get two chances to play for a million GBP.